Rutgers University President Robert Barchi appointed Christopher Molloy as chancellor of Rutgers University–New Brunswick. 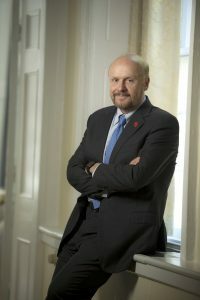 Molloy was previously appointed interim chancellor of Rutgers–New Brunswick after Chancellor Debasish Dutta resigned in July 2018. Molloy has previously served with distinction as dean of the Ernest Mario School of Pharmacy, interim provost for biomedical and health sciences during the integration of the former UMDNJ into Rutgers, and interim chancellor of Rutgers Biomedical and Health Sciences, Barchi wrote in the letter. Molloy has been a part of the Rutgers community since his days as a pharmacy student in the 1970s and holds an undergraduate and a professional degree from Rutgers, Barchi wrote.